In Windows 8 and Windows 10 a new mechanism to manage default file associations appeared. In this article I’ll show how to set a default browser to open HTML files, import these settings to the XML file and distribute this file containing file associations to other computers manually or using group policies (GPO). 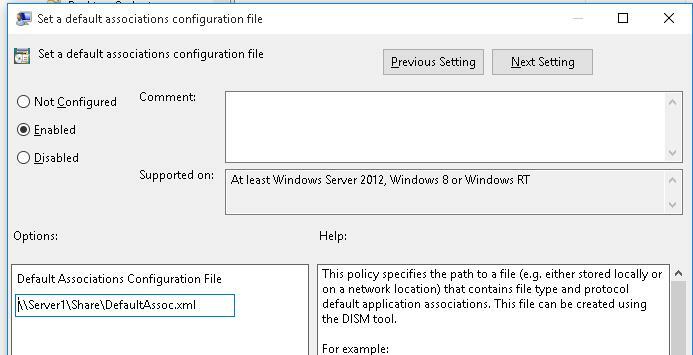 Unlike Windows 7, in Windows 10 and Windows 8.1 user Group Policy Preferences Open With feature to manage file associations doesn’t work. But new OSs give an opportunity to export current file associations settings from the reference computer to the XML file and use this file on other computers or export it into the standard system image deployed on the clients (manually, or using WDS or SCCM). Suppose we need that Firefox browser is used to open HTML files on all domain computers. To do it, we’ll need a reference machine with the installed Firefox, on which we manually set the necessary association of file extension with the application. 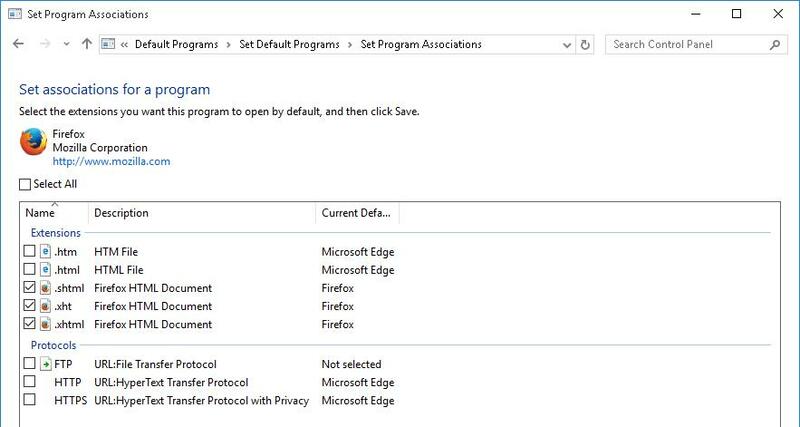 Open the Control Panel and go to Control Panel -> Default Programs -> Set Default Program. 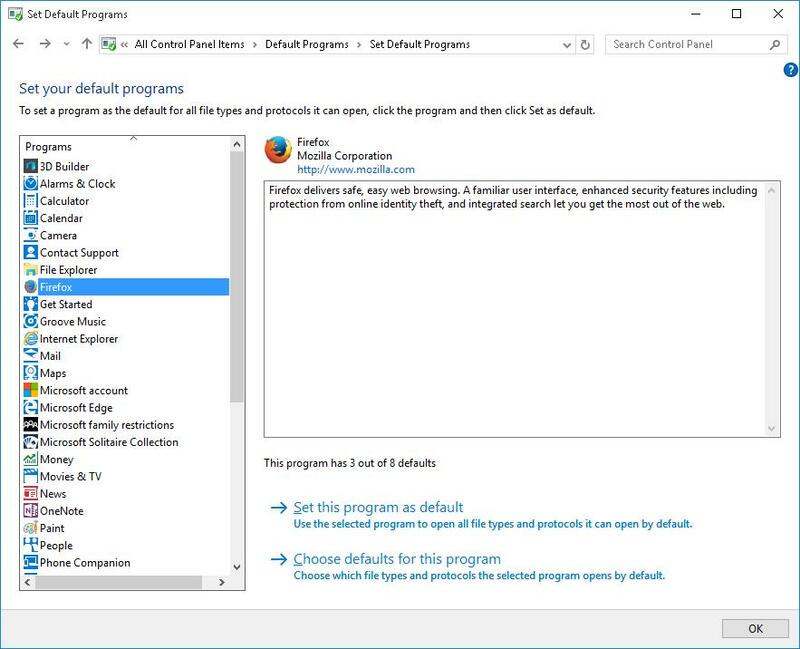 Find Firefox in the list of programs and click Set this program as default. Thus, Firefox will be assigned as a default program to open all supported file types. If you need to select specific file extensions, click Choose defaults for this program and check the desired extensions. You can check the current associations for the files with the extension .html in Programs -> Default Programs -> Set Association section of the Control Panel. Important. These settings for mapping file extensions to programs will be applied only to new users during first logon. 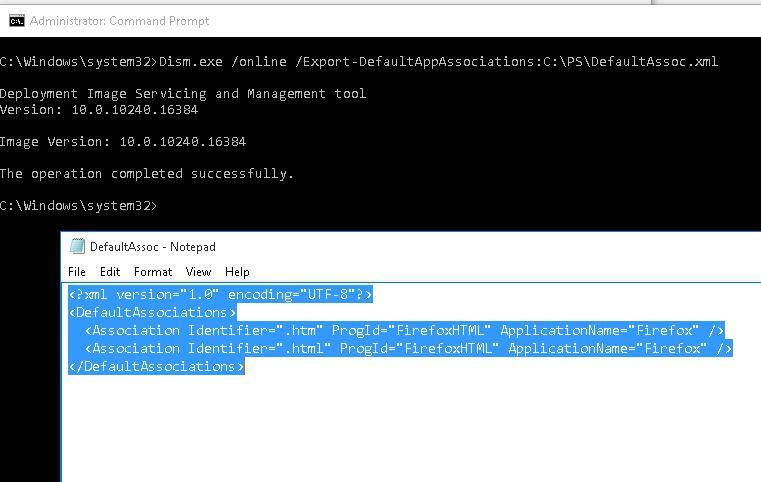 In Windows 8 or higher a new GPO parameter appeared that allowed to apply an XML file containing the settings of file associations to all users on a computer. 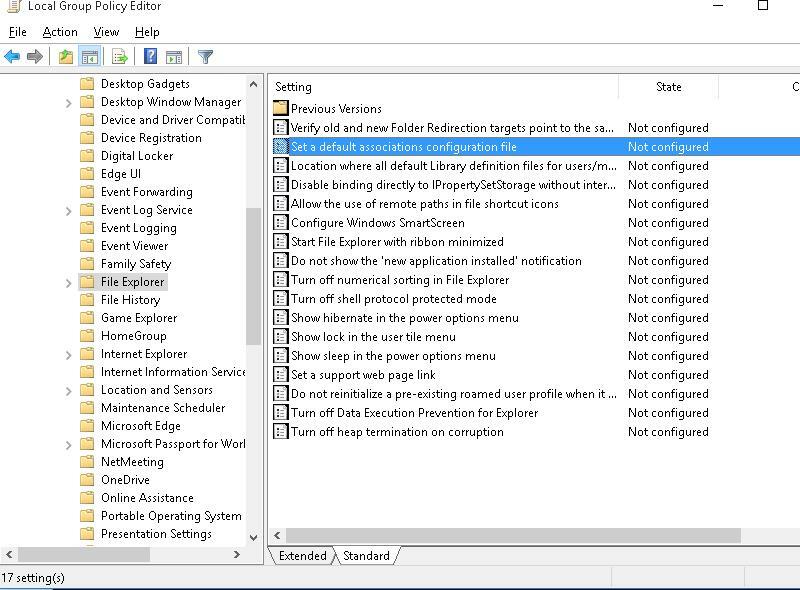 This policy called Set a default associations configuration file is located in Computer Configuration -> Administrative Templates -> Windows Components ->File Explorer. Enable the policy and specify the UNC path to the XML file. It can be located on a shared network folder, in SYSVOL directory on the domain controller or copied to the computers using GPP/ SCCM. When working in the system, a user can reassign these associations. However, during the next logon, user settings of file associations will be reset with the settings from the XML file. After running this command, all new system users will log in with the default association settings (the reset has no effect on the existing users).